Congratulations on being named a Call2Recycle® 2018 Leader in Sustainability! This distinction reflects your commitment to battery recycling, which is helping to sustain the planet. We value your partnership and have created resources below should you wish to promote this recognition within your network. 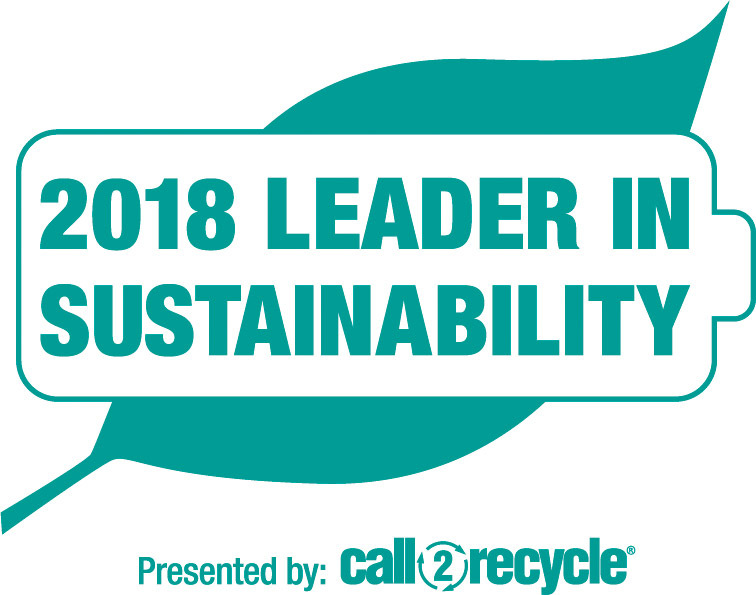 PROMOTE YOUR RECOGNITION AS A LEADER IN SUSTAINABILITYShare your selection as a Call2Recycle 2018 Leader in Sustainability across your communications channels! Below find a templatized press release & digital badge for website and/or email signature use.